And Must-Have Baby Books To Include! A baby book gift basket is a great baby gift idea! Reading picture books is a fun and entertaining way for parents to bond with their baby. Moreover, various studies have shown that reading raises language skills, aids in baby's development and helps to establish a lifelong love for reading and books. So here we have the perfect educational gift that at the same time brings fun and entertainment for hours and even years to come! Making your own baby book gift basket is no rocket science at all and you can choose the best baby books for your individual gift. First read through my general directions on how to make a baby gift basket and then come back here for the details on the baby book theme gift basket. All your 'ingredients' for an awesome baby book gift basket are available at your local book store or at amazon. If you are not sure which baby books to choose let you inspire by amazon's top 10 or top 20 baby books and board books ages newborn to 3. Or see what I recommend - the order is of no importance, these are all great and cute books to include in baby book gift baskets and every baby and toddler will love them - and of course, the parents too! This classic bedtime story was first published in 1947. A little bunny is tucked away in bed and says goodnight to all the things in the room: goodnight room, goodnight moon, goodnight to the picture of the three little bears sitting in chairs, goodnight to the clocks and his socks, goodnight to the mittens and the kittens, goodnight noises everywhere... The rhyming words and the soft illustrations make this a perfect bedtime story and a must-have for every baby, toddler and kid! This book has been described as one of the greatest childhood classics of all time and is the winner of many children's literature awards and a major graphic design award. It has sold over 30 million copies worldwide and has been translated into over 50 languages. The story is about the metamorphosis of a small caterpillar into a colorful butterfly. The book teaches counting to 10, the names of the days of the week and it even gives a little lesson in good nutrition. Another must-have for any nursery! All books of the Happy Baby Series are a great read to baby! 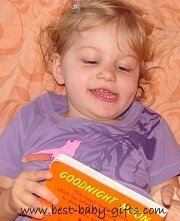 Their books are soft-to-touch with simple and clear images and help to increase a child's vocabulary. Babies like that there are photos of other real children in the Happy Baby books doing the things that they are currently doing. And babies and toddlers are fascinated by this kind of books. There's even a bilingual version of Happy Baby Words, in English and Spanish. Every body loves Maisy Mouse and her friends Cyril the squirrel, Eddie the elephant, Tallulah the duck, Charley the crocodile, Ostrich and Panda. Experience various activities with Maisy and her friend and accompany them through all seasons. 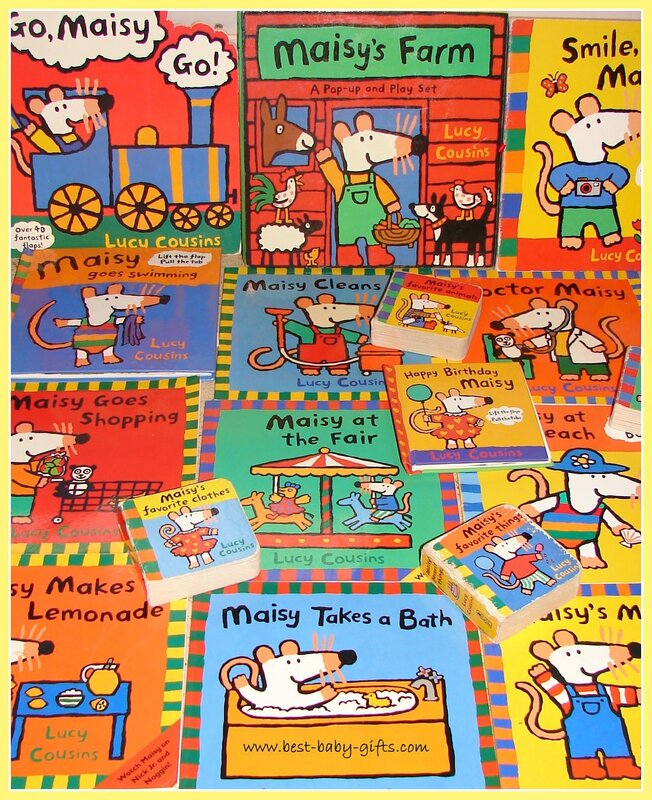 Maisy books come in all sorts and sizes like board books, lift-the-flap, pop-up, cloth books, bath books, sticker books, mini books, stroll-along and even dual language books (English/Spanish, English/French). And, like us, if you can't get enough of Maisy also get a stuffed Maisy animal or a Maisy DVD. This classic has made nights easier for moms for over 2 decades. It follows an ark full of animals as they watch the sun go down, take baths, find pajamas, brush their teeth, do exercises on deck and then hit the sheets. Sandra Boynton is gifted at coupling wonderful, readable verse with delightful illustration. Don't miss this book and I can also recommend to buy others from her collection. Babies, toddlers and kids love to play with little people toys and they also love Little People Books by Fisher Price! Little People Books come in all shapes and sizes and feature various types of books such as lift-the-flap, board books, wipe-off books, story books, etc. Babies and toddlers can explore all kind of places, situations, vehicles, the seasons and much more: a visit to the farm, going to school, celebrating Christmas, going to the dentist, exploring the town, etc. Little People books will bring lots of hours of entertainment and additionally learning. Eric Hill's collection of Spot, the puppy, offer fun surprises and short stories with flaps for baby. Where's Spot? Is he hiding behind the door, under the bed, or in a cabinet? Lift the flaps to find out! Also available from the series: Spot Goes to the Beach, Spot Loves His Daddy, Good-Night Spot, Spot Loves His Mummy, Spot Goes to the Park, Spot Bakes a Cake, Spot Goes to School, Spot Visits his Grandparents and more. Bring this lovable character to life by including an adorable Spot bean bag toy. In this cute tale Little Nutbrown Hare and Big Nutbrown Hare try to find a way of showing how much they love each other by bouncing and hopping as high as they possibly can. This acclaimed picture book comes in various editions. The Pop-up book edition is really adorable and we love it - but babies will tear it up in no time and this is rather something for older kids which are able to gently pull and will cherish such a 'treasure'. So for babies I rather recommend the board book edition or the gift set including a Nutbrown Hare buddy. This charming baby board book has a wonderful visual appeal and turns a reading session into a game. The peek-a-boo windows, simple guessing rhymes and the mirror at the end make this book a baby's favorite. The young readers will delight in trying to guess who, or what, is peeking through the window! Curious George has been entertaining children of all ages since he was created by Margaret and H.A. Rey nearly 80 years ago. Everybody loves that curious little monkey always up to mischief but always with the best intentions! Curious George lives together with the man with the yellow hat and undergoes many adventures. While most of the books and stories are for ages 3 and up, board books, pull-the-tab and touch and feel books for the very little ones have been published recently. Thus, that lovable monkey can accompany the little ones during a whole childhood. Gift sets are also available as well as cute Curious George plush dolls. A 'must include' into your baby book gift basket! 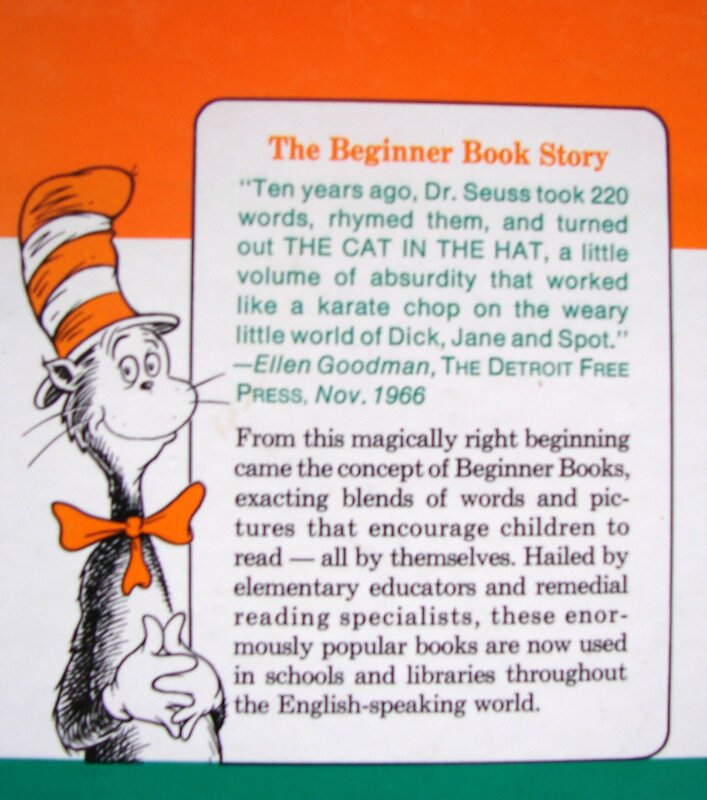 And not to forget all these brilliant Dr Seuss books! Other than books you can also add a cuddly toy - preferable of a book character! - , a cuddly pillow - also available of book characters! - or a cozy blanket to your baby book gift basket or gift hamper so story time becomes even more comfy and fun! Or how about a set of bookends for baby's nursery? And also great when baby goes on a little trip: a stroller book to attach to the stroller or car seat!